We are now well into the 2017 AMND Winter season and we’ve had a very busy past month with AMND regrading, our Netball SA Club Day stall, and our Bogan Bingo fundraiser. A BIG thank you to our fabulous Jets Community for supporting the Club by way of their assistance and attendance at events, their generous donations, and contributing/purchasing Club fundraising items. Without you these Club days and events could not be successful, and we look forward to your support during the rest of the year. Registrations are now open for the 2017/2018 summer trials. There are many more important dates to come on the Jets calendar. Click here to find out what they are. Remember, if you have any articles, ideas or suggestions for the Club newsletter please email me at metrojetsnewsletter@gmail.com. They came, we saw and we laughed so much it hurt. Our major fundraiser for the year was held on Saturday the 24th of June, at the Eagles (Woodville West Torrens) Football Club. It was fantastic to see everyone get into their ‘Inner Bogan’ spirit; dagging out in their flannelette tops, donning their beanies and pulling on their good old ugg boots. 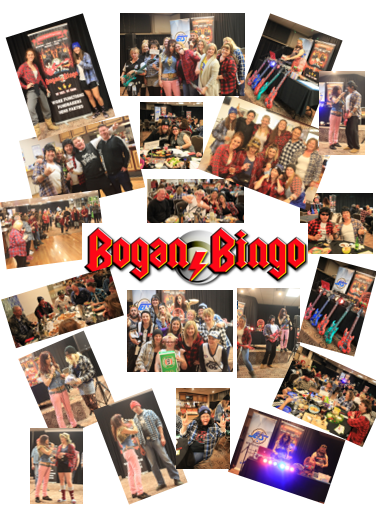 Click here to see photos of our hilarious Bogan Bingo Night. The Club received a number of very generous donations towards the night, so we offer a big thank you to: the Palais Hotel, Bakers Delight (Fulham Gardens), Hostplus, the Lyle famiily, the Sayers family, Simon Adam, Edible Blooms, Tony & Marks, the Eckert family (for their amazing Normanville property) and the whole Jets Community for donating various items for our silent auction and raffle prizes. The Club raised almost $4,000 on the night and will be using this money towards the educational development of our coaches and umpires as well as specialist training opportunities for our players. Our Metro Jets Club Day, held at Priceline Stadium on Saturday the 17th of June, proved to be another huge success for our Sub-Committee Events/Fundraising Team. The Club sold over 300 bacon and egg rolls and 400 sausage sandwiches on the day; along with various pieces of Limited 108 jewellery, lucky dip prizes and baked goods. A big thank you to the Jets Community who donated, baked, wrapped, barbequed, serviced and sold items towards our Club Day. The Club raised over $3,000 on the day which has gone towards updating individual team resources (including Coaches’ bags, drink caddies, bibs, cones and first aid kits). The raffle baskets were again outstanding this year, and a big Congratulations go to the following winners: Tania, D Burton, J Coad, Donnella, K Turtur, J Underwood and C Cooper. Also, a big Well Done to our Club President Rachael McLeod who won the first prize basket on the day, but generously donated it back to the Club for our Bogan Bingo Night. Lastly, thank you for the fabulous support of our Club Sponsors on the day, including our Major Sponsor REISA Training; Silver Sponsor Go Loans; Team Sponsor Adelaide Crows Sports Medicine Clinic; PL Player Sponsor Limited 108; and Club apparel provider Viv Sports. A special mention also goes out to our Premier League girls who came out and supported their Buddy Teams and assisted on the Club BBQ throughout the day. Further information will be provided by each Team’s Manager. Please click here to see the details regarding registration and trial information. All registered Metro Jets players will be entered into a raffle for a chance to win a great Father’s Day prize. Our Metro Jets Premier League team secured their first win of the season last Friday night against Oakdale. 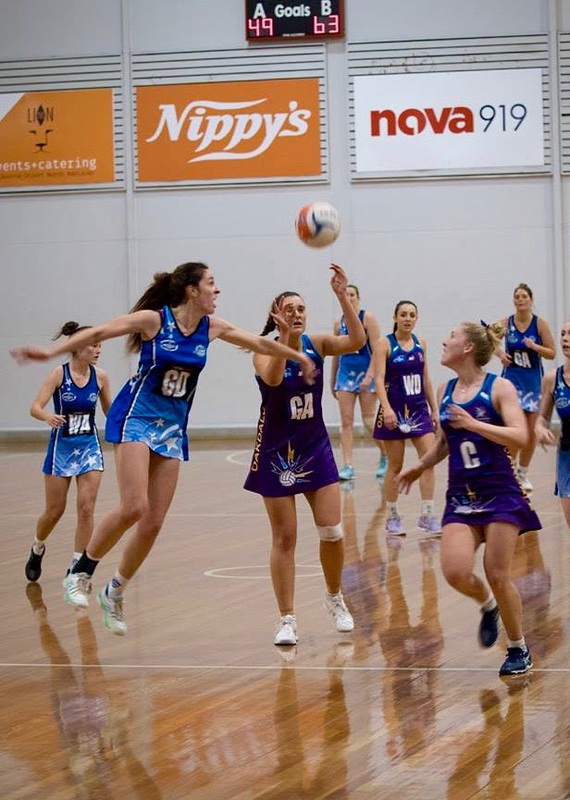 Led strongly by the Co-Captains Stephanie McNeil at GK and Alyse Taylor at GD, the winning team line up also consisted of Lisa Roscarel in WD, Kimberley Haydon in C, Kimberley Batley in WA, Tamara Killian in GA and Karyn Bailey in GS. From the very beginning, the team looked primed and focused, and with a large Jets crowd in support they took a commanding lead of 19 to 10 in the first quarter. The mid court worked tirelessly and fed the shooters extremely well, whilst the defenders worked equally hard at the other end taking intercepts and forcing errors. Faith Pickard – Talented on the netball court and softball field! 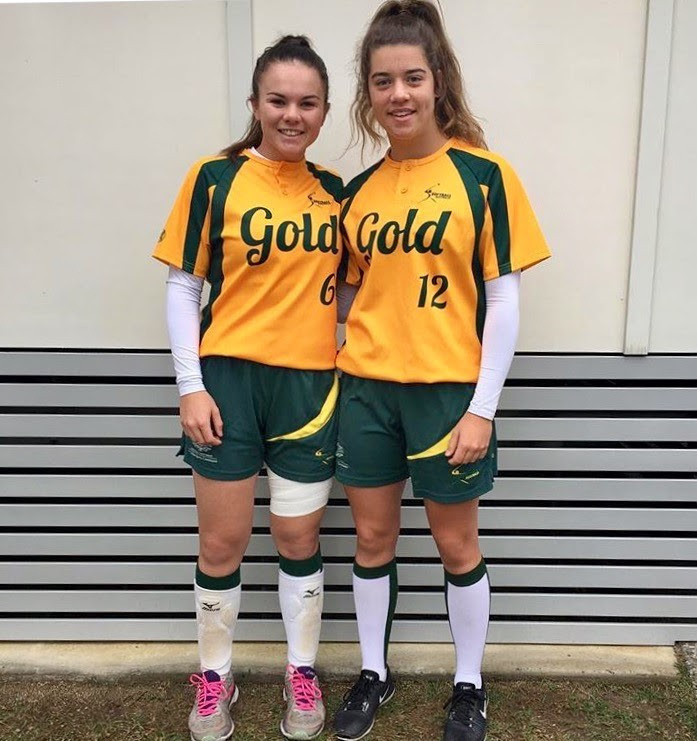 Congratulations to Jets Intermediate Player Faith Pickard who last week represented Australia in the Softball International Friendship Series. Faith was chosen in the Under 17 Australian Gold team who were overall winners of the 5 day tournament involving international, state, academy and regional teams. Well Done Faith, what an awesome achievement! If you’re interested in umpiring and supporting our Club, we would love to have you on board. Metro Jets are required to provide an umpire for every game that we participate in, so we need your help. Please contact our Umpiring Coordinator, Caitlin North at metrojetsumpiring@gmail.com if you have any questions, or would like to know more about the process and support offered within our Umpiring Program. If you would like to share a celebration in the next Jets newsletter, please click here. Another way you can share your good news stories with the Club is through photographs. Don’t forget the Club is on Instagram and Facebook, so make sure you tag us in your pics!